Update: The contest is now closed, and we have a winner! All participants will be contacted via email. Thank you for your support! If you didn’t win, here’s how you can buy tickets. Put eight food and wine bloggers in a restaurant, pile them with great food and alcohol, what would you get? Plenty of food snapping (before you eat), tweeting (also before you eat), checking in on Foursquare (ditto) and of course, foodie gossips! From whether you process your photos before posting them (I don’t), comparing how many Blogspots and Tumblrs one have, to the behaviour of a certain it-shall-not-be-named magazine (but everyone knows! ), it was great night of shared laughter and newly-made friendships. 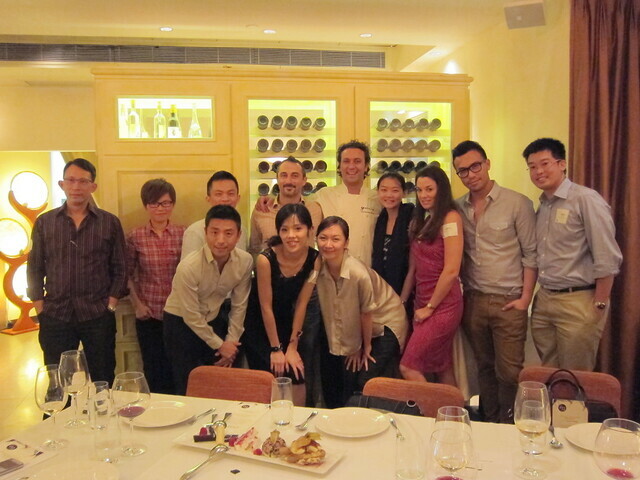 I was delighted to be invited by I Love LKF for a sneak peak for the upcoming Festival of Wine to be held on September 24. 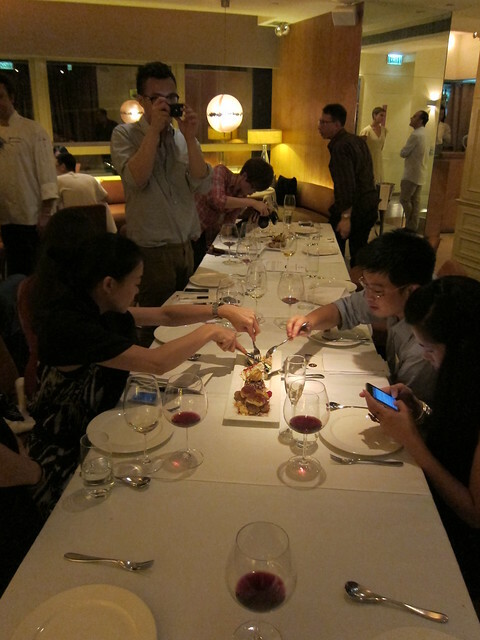 Together with my fellow bloggers – Janice of e*ting, Gary of Joie de vivre, Eunice of 為食公關, AM of AM, JJ of The Wanderlister, Alison of Pan Pan Sang and Jessica of Sassy Hong Kong – we toured three excellent food and wine establishments one night right here in the heart of Lan Kwai Fong. Click here for more photos from the night. It is rather weird to associate good food and great wine with Lan Kwai Fong. After all, LKF is much more well known as the destination of choice for clubbing and bar-hopping. But with the upcoming Festival of Wine, this is set to change; food and wine lovers will get to see a side of LKF less well-known. With top quality restaurants such as Casa Lisboa, DiVino, Goccia, Indochine, Ista, La Perouse, Post 97 and Robata Zawazawa participating in the event, you will get to discover the best of Japanese grilled meat to Sicilian spaghetti to fiery Indian cuisine, paired with great wine from all over the world. When: Saturday, September 24, 2 – 7 p.m. EXTRA! Here’s how you stand a chance to win a pair of tickets ($800 value) to this fantastic event, right here on You Got Me Blogging! 3) Leave a comment on the blog post of the restaurant you would like to visit THE MOST during the Festival of Wine, telling everyone why you choose the place! Do these before Wednesday, September 21 by 12 p.m., and I’ll choose the winner with the most original, creative and witty comment by the following day! Want some brownie points? Just tweet, blog and share more about Festival of Wine and You Got Me Blogging! It’s that simple. Now, never say I never have anything good to share with you on my blog, ok!